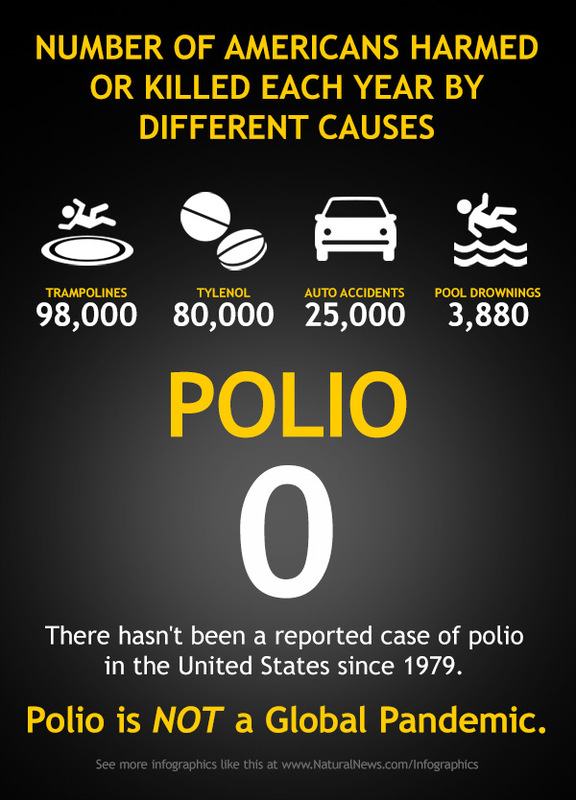 There has been quite a lot of publicity about polio being on the increase again. Before you rush out for your vaccine booster, have a read of this article by Mike Adams who gives a surprisingly sensible opinion about the polio hype. His opinion fits with a theme you will read about often on this blog - the theme that what drives medicine and medical bureaucrats are causes,like vaccines and Tamiflu, that stand to make some people and corporations a very, very large amount of money. Health issues that do not stand to make vested medical and pharmaceutical interests BIG money are left to languish low on the list of priorities. Please pay particular attention to his advice about how to improve your resistance to disease. Its sensible stuff. The WHO officially describes this as "an extraordinary event which is determined to constitute a public health risk to other States through the international spread of disease and to potentially require a coordinated international response." And just what is this "extraordinary event" of which we should all be so terrified that the entire mainstream media dutifully reports it as a "global health emergency?"